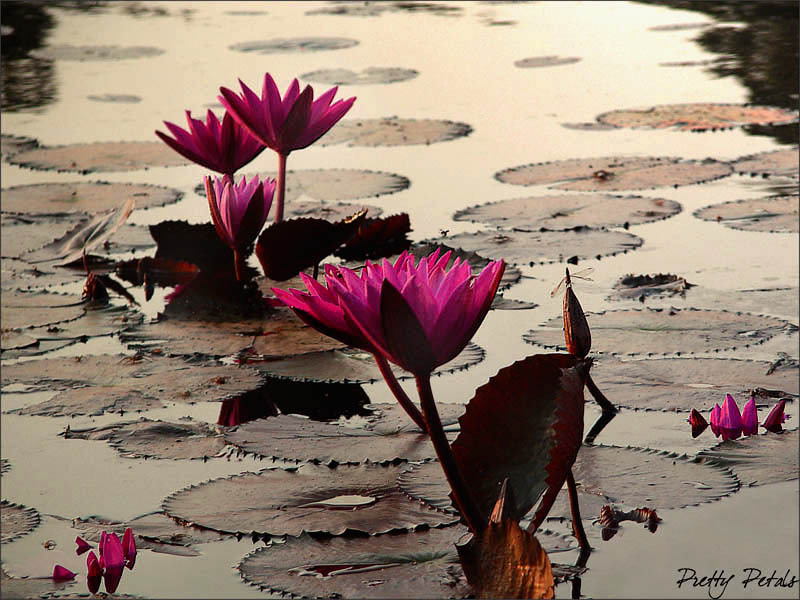 This shot was taken outside of the Angkor Wat where you will find a huge Water Lily pond. It's a favourite spot for photographers and is also known for its abundant Lily blossoms. This shot is slightly different then my other Lily shots. This was taken right after dawn where the lighting was pleasant as it wasn't too harsh for photo shooting. Copyright Flowsnow 2013. All Rights Reserved. You've timed your shot to perfection, breathtaking beautiful. V.
Wonderful shapes in the early morning light. Incredible and fantastic colours!! I love it. ¡V! Very well taken! The colours and lighting are perfect. Voted. Fabulous colors and composition. A very soothing mood is created. V.